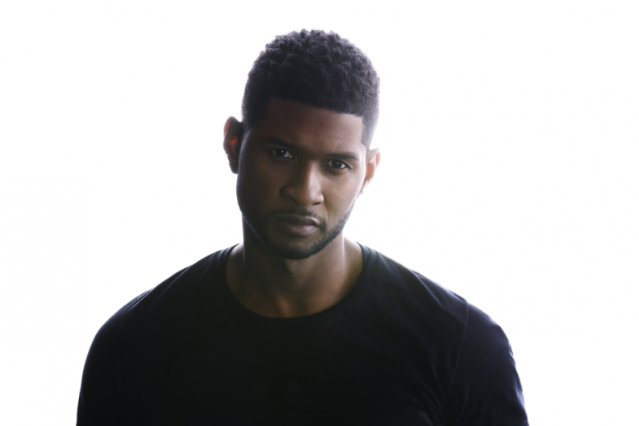 Usher Raymond IV makes it pretty easy to forget just how long he’s been in the game. His first record dropped in 1994 when he was just 15 (that’s younger than his protegé Justin Bieber was when he released his debut) and since then, he’s become one of the top-selling artists in the world. Even though his forthcoming studio effort, Looking 4 Myself (June 12 via RCA Records), is his seventh in 17 (17!) years, tracks like the ever-peaking “Climax” and the EDM-influenced “Scream” continue to push the envelope in ways the years 1996 and 1999 couldn’t possibly have anticipated (those were, in case you had indeed forgotten, the years of Usher’s work for Kazaam and with Freddie Prinze Jr.). On the eve of Looking’s release, the R&B vet shared some wisdom with SPIN about how he chooses collaborators, his indie influences (spoiler alert: Conor Oberst should be pleased), and (if only for a sadly brief moment) coaching the Biebs. You’ve referred to Looking 4 Myself as “revolutionary pop.” Is it fair to say that you’re trying to combine all the genres with which you’ve experimented in the past? Well, I wouldn’t necessarily say that’s what revolutionary pop is. One thing that you can say about [the music on the new album], not giving it a specific name, but if you do give it any name, call it “Usher.” It’s kind of the combination of all of these different worlds and worldly experiences that have given me different genres to play with. I heard you had conversations with Diplo about indie artists when you worked with him. The three songs you’ve already put out from this album, “Climax,” “Scream,” and “Lemme See,” all come from very different directions. Are you looking for a particular sound, as the album’s title suggests? Well, some of your songs do seem pretty literal. People often assume that each and every thing that you say, you go through. But that’s not true. There has to be some sort of element of entertainment and artistry where you kind of dream things up. I’ve always wanted to be a person who wanted to introduce myself to different people. That conversation hasn’t ever changed, but now, I have music that speaks to that, so it’s easier for people to understand who I am as an artist. You have been in the spotlight now for about half your life. How do you think you’ve managed to outlast so many of the artists that you once competed with? Simply put: Evolve or evaporate. That’s how you stick around. Evolve or evaporate. You have to be very cognizant of what’s going on around you. You can’t be so bold and reluctant to be receptive to change that you don’t allow yourself to grow. Because nobody really understands that music is always growing, a lot of it is reciprocal. Some things will come back. I think that music now, more than ever, is more like it was in the ’70s and ’80s, where it’s a little bit of all these different mixes that work together all at one time. You got hip-hop joined with alternative music, alternative artists really understanding and appreciating the earlier essence of hip-hop, and pop being something that’s not just popular or commercial. Artists like Swedish House Mafia, you would never imagine that something that hard would be pop, but it is now. You and David Guetta are working together. Drake made some comments recently about how he doesn’t like to work with bigger, more commercial DJs because it waters down the potency of his music. What influences your decision to work with a particular producer? Commercial viability wasn’t what I thought of first. I thought of a mission that changes, recreates, and reestablishes our sound in not a commercial way, but a relevant way. Diplo was one person that I felt really understood it. [Songwriter] Rico Love was someone, too who actually understood what I was intending to say, but then I began to write myself. And as I wrote the songs, they called for specific types of producers. So I went and worked with different people that I hadn’t necessarily worked with before. I worked with Luke Steele of Empire of the Sun, I worked with Danger Mouse, who I’ve worked with before, I worked with Jim Jones and pushed the envelope a little differently. I worked with Diplo, I worked with Swedish House Mafia, I worked with Pharrell [Williams] again. All these people really understood what the mission was, and that was to not be exactly who fans think I am. It’s a new experience, but it’s still Usher. How has your mentorship of artists like Justin Bieber affected your own evolution? Student becomes the teacher. I’m preparing them to become teachers too. What are some of your favorite records lately? Little Dragon. Love Little Dragon. And Skrillex. Empire of the Sun, obviously, having had the ability to work with Luke Steele. There’s this other artist that I think is cool too, JMSN, a really cool artist. You really hit me outta left field! Monsters of Folk! Love Monsters of Folk. Yeah. “Dear God” — I love that record. Mumford & Sons, too, speaking of folk. You’re really all over the map. Yeah. B.I.G., Nas. All of these people have some relevance to what I do. It may be the subtlest little thing. Because all music is that way — it will influence you and one thing that sticks does not go away. The emotion of the music doesn’t leave you. What you felt when you heard a record for the first time, you’ll never forget it. The first time you’ve had an experience in love, there’s a song to go with it. The first time that you’ve had a sense of independence, there’s a song to go with it. There’s a track and an emotion that music captures that nothing else can.